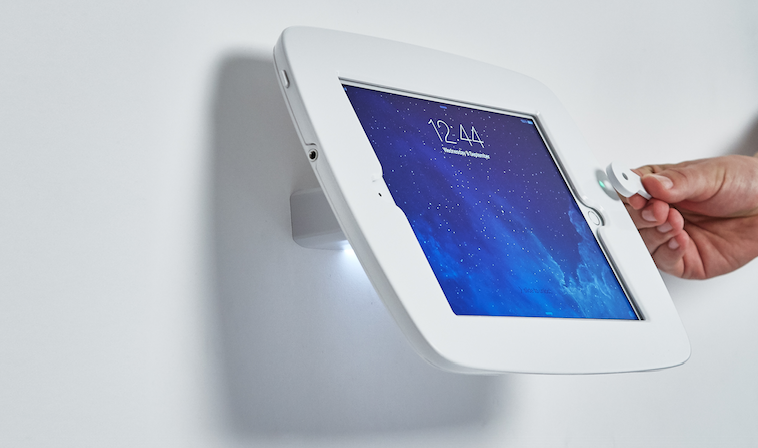 Latest Bouncepad iPad kiosk allows UK-based retailer to enhance in-store customer experience. 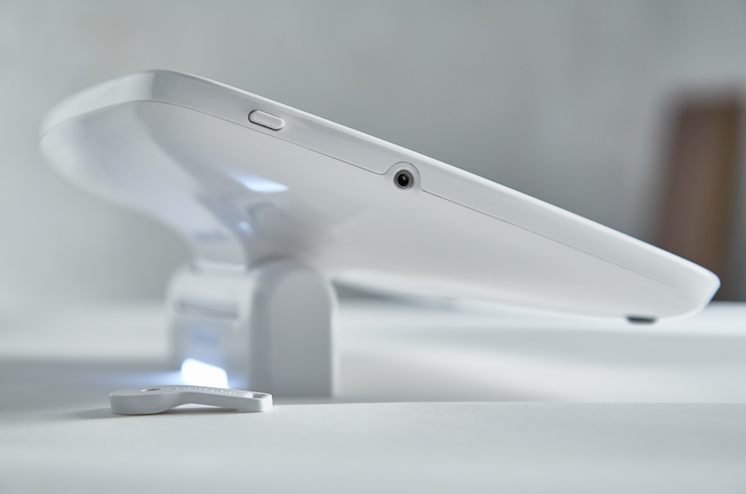 Bouncepad, the enterprise tablet rollout experts, announce that British Furniture company, Heal’s, have implemented Luna, a secure dock 'n' charge system that mobilizes tablets, at their Westbourne Grove store in London. CloudTags, the creator of the Connected Store, is helping Heal’s deliver a seamless omnichannel experience for its customers. Using CloudTags’ data platform, Heal’s has better visibility into how shoppers interact with their products, both online and in-store. Heal’s has placed tablets throughout the store for customers to use as well as in the hands of its design consultants to further enhance the shopping experience. The introduction of Luna as a hardware partner provides an added layer of security and functionality, keeping tablets safe, charged and easily accessible for the retail staff. Luna takes tablets from fixed-to-mobile in seconds. When docked, Luna keeps iPads locked down and powered up, ready for every interaction. With a tap of an RFID fob, staff can easily release Luna to confidently move around the store, bringing helpful information to customers, wherever they are. Heal’s began working with CloudTags shortly after re-launching their new website. Leveraging CloudTags’ platform on iPads and the Bouncepad Luna, Heal’s grants access to their product catalogue and services, enabling customers to build wish lists and look up products they’ve researched online. At the end of the shopping session, customers can able to opt-in and receive personalized content to re-engage with the brand and get re-targeted ads for products they’re interested in. “Working with Bouncepad, it’s clear that they understand our vision for providing top-tier digital experiences in retail,” said James Yancey, CEO and Co-Founder of CloudTags. “Being able to deploy Luna with our solution in Heal’s provides a great opportunity for both shoppers and store associates to digitally engage with physical product in a meaningful way, leading to increased re-engagement and sales." The Bouncepad Luna is now available for purchase. 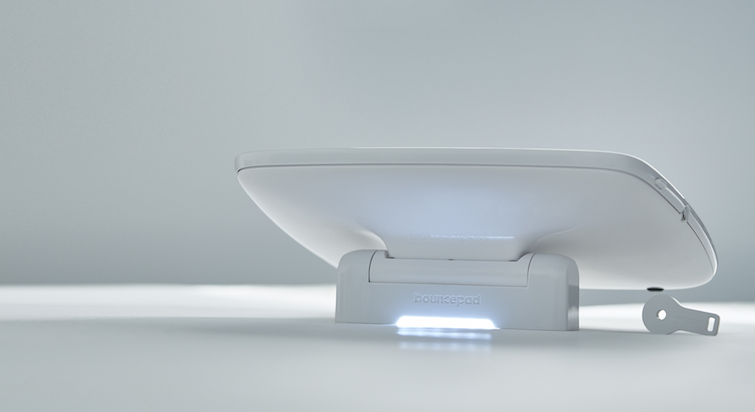 For more information on the Bouncepad Luna, visit https://www.bouncepad.com/luna. Bouncepad, a leading provider of beautiful and secure kiosks, transforms tablets into robust, digital touch points for businesses in hospitality and retail, among others. The company has shipped products to more than 45 countries worldwide, working on major deployments for brands like Adidas, Clinique, Hugo Boss, McDonald’s, Virgin and Visa. For more information, visit http://www.bouncepad.com.